North America has some of the greatest hunting and some of the finest game animals found anywhere in the world. Hunting opportunities in North America are tremendous and vary greatly from whitetail hunting in Eastern hardwood forests to elk hunting in high alpine meadows of the Rocky Mountains to mule deer in the deserts of Sonora to muskox in the Canadian Arctic. 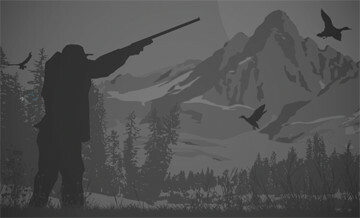 The success of North America’s wildlife management is attributed to the “North American Model of Wildlife Conservation,” which relies on money generated by hunters, through licenses and a surcharge on the purchase of hunting gear, for the funding required to conserve and maintain game animals. Under this model, game animals in North America have made a tremendous comeback over the past century and thrive throughout the continent in record numbers today. Because hunting in North America is managed at the state and provincial level, hunting methods, traditions, ethics, and laws are different from one region to another. For example, black bears may be legally hunted over bait in some states and provinces, are hunted with dogs in others, and can be legally taken only by spot-and-stalk in others. It’s crucial to study the laws and regulations of the state or province you are hunting in. Wildlife agencies in each state and province generally have excellent, detailed websites where the information may be found. This is a 3 day hunt, expect to see and/or stalk on mature Javelina several times if needed on your hunt. This hunt is provided on atv/off-road vehicle/on foot. A typical day includes getting to a glassing point and glassing all morning and then stalking the Javelina throughout the day. The hunter should expect a shot in the 10-150yd range up to their comfortable limit and the weapon they are using. The weather will be mild, chilly in the morning and sunny mid-day. 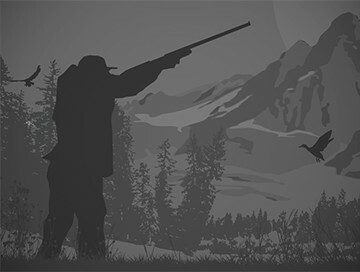 The hunter to guide ratio is 1:1 in the this hunting camp unless otherwise requested...every hunter gets the best chance at a trophy and often times there will be two guides helping out the hunter. This hunt is usually joined as a predator combo hunt at no charge if the hunter is interested in doing so. Archery season January 1-23, Youth Only January 24-February 3, Handgun-Archery-Muzzleoader February 4-20, Rifle February 1-26. (Dates are approximate and may change). Travel to and from Phoenix intl airport, or drive to the hunt location. No tents for this hunt, it is located on a private ranch in AZ with 2 ranch houses, great food and great sleep are guaranteed on this hunt! All travel, food, and lodging are provided from your point of arrival here in AZ to hunt camp etc is provided, food, trophy/meat preparation, delivery of meat to processor. This is a draw hunt, all application info must be turned in be second Tuesday in October. Draw odds are nearly 100%.